Controlled by Wolverhampton AA, the Bratch is about halfway in a stretch of canal run by the club that goes from Swindon to Lower Penn. 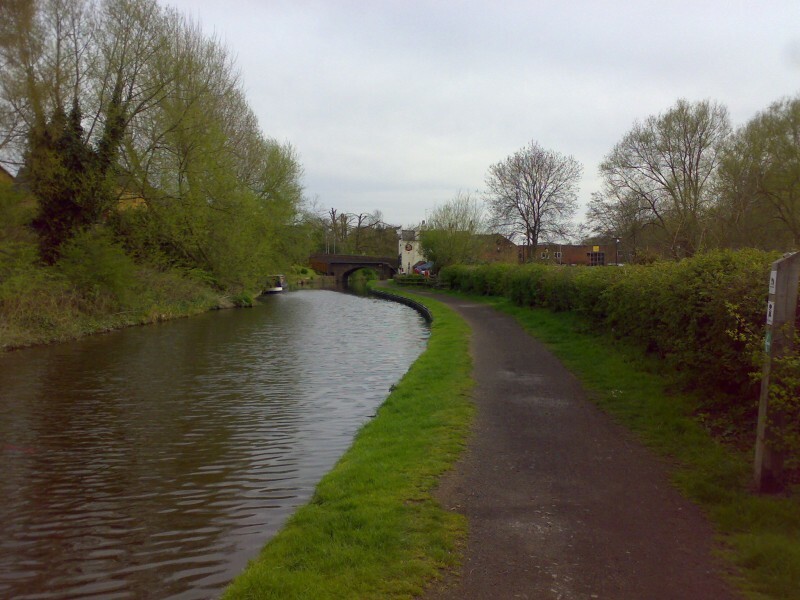 The Bratch is a very pleasant place, and being on the edge of Wombourne there is nearly always someone walking or cycling along the towpath and it provides a feeling of assurance that people are around. The venue is not that far from the busy A449, so access is very good. Coming from that direction, there is a car park just before the canal bridge itself. But bear in mind that this is locked in the evenings, so take note of the times should you park there. Other than that, parking is along the road, although your car will be in a residential area, so you can park up, walk to the canal and enjoy your fishing without worrying about your vehicle. Right by the lock itself, the canal widens, as is often the case. Although the area is now geared up for mooring barges, and there are ‘no fishing’ signs for the first few metres, this shouldn’t present any problems during the colder months. The mooring allocations are not long-term so, with a gentle cast and you can fish into the prohibited area should you wish to. The canal had a massive head of gudgeon, there must be literally hundreds of thousands of them all along the length of the waterway. And the great news for the angler – particularly in winter when bites are hard to come by – is that they are always eager to wolf down a bait with a hook in it! The gudgeon can be picked up anywhere – inches away from the towpath, the far shelf or the boat channel down the middle. The pole is a popular method of fishing, and nowhere more evident than on this canal. But don’t neglect the rod and reel either. Although there are plenty of reed beds and overhanging trees along the Bratch length of the canal, you don’t need to fish too heavy. Certainly in the winter, then fine is the order of the day, maybe a 1lb 6oz hooklength with a size 20 hook, which will not deter the gudgeon, but if you do manage to hook something bigger, then you will at least have a chance of landing it. Apart from the gudgeon, there are large numbers of roach present, and there is always a good chance of catching fish over the 1lb mark, definitely worth catching, particularly from a canal. Whilst maggot is an excellent all-round bait, switching to bread not only cuts down on the numbers of gudgeon that you catch, but also increases the average size of the roach. And if it’s ‘big’ you want then bear in mind that this stretch of the canal has some nice carp present. A year long (Jan–Dec) ticket is just £15.00. Day tickets £2.50 contact Beddows Tackle. At Wombourne island on the A449 (the intersection with the A463) turn into Billy Buns lane. This continues into Bratch Lane, which goes over the canal, so you know when you get there! The canal is about 1 mile from the A449.